KEF knows how important great bass is when you're listening to tunes or watching a movie. KEF knows how important great bass is when you're listening to tunes or watching a movie. 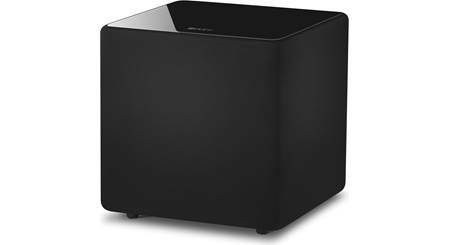 They've designed the KUBE 8b powered subwoofer to provide excellent low-end performance without taking up a lot of space on your floor. This compact sub is an excellent choice for small- to medium-sized rooms where space is at a premium. 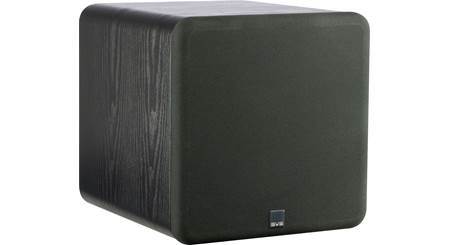 The KUBE 8b is outfitted with a custom-designed 8" woofer, and a powerful 300-watt RMS amplifier. KEF designs and builds all of their components in-house to make sure that both the quality and audio performance are up to the company's high standards. On the back panel you'll find a simple-but-useful input and control panel. My favorite feature? You can choose from three placement presets (free-standing, in-cabinet, or corner) to dial in the sound based on where the sub is located in your room. Once you get your sub home, check out our tips for placement and setup. 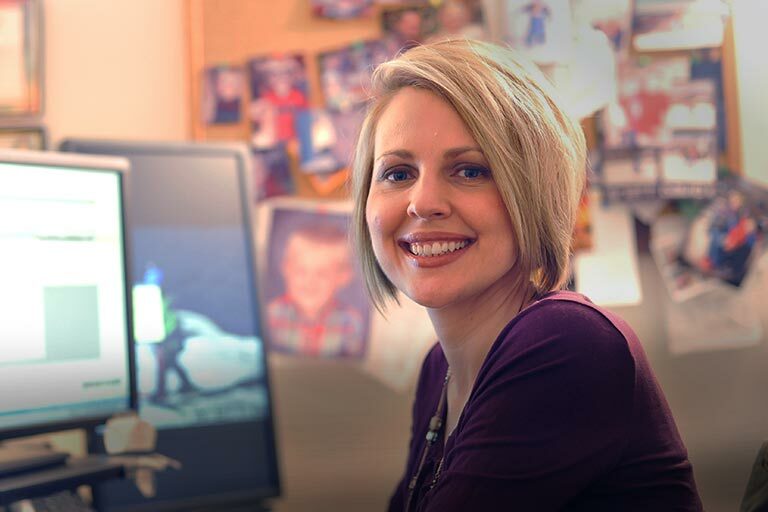 Free lifetime Virginia-based tech support is included with your purchase. Perfect supplement for KEF 50LSW. Great is now greater. In-House Integration: KEF is one of the few high-end speaker manufacturers who design, engineer and assemble the driver, cabinet and circuitry in-house. This level of integration is the hallmark of KEF's commitment to pure sound. What you get is a driver, amplifier, and cabinet that is perfectly tuned for amazing bass performance. 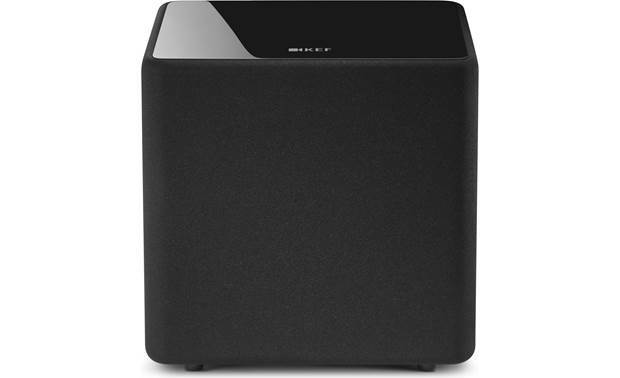 8" Woofer: The Kube8b features a front-firing 8" woofer that has been designed, built, and integrated in-house by KEF for a new level of optimization that delivers deep, articulate bass. 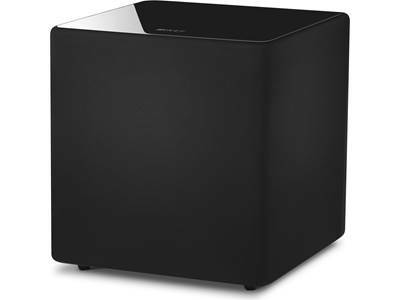 The 8" powered subwoofer is perfect for smaller rooms. 300W Class D Amplifier: The powered sub's 8" woofer is driven by a 300 watt Class D amplifier with a formidable 56-bit 50 MIPS DSP preamplifier for immersive, dynamic bass performance. iBX Technology: iBX technology extends the bass depth dynamically, unlocking the full potential of the driver's power at normal listening levels or even the most extreme. KEF's design and engineering team worked in chorus to develop iBX. This Intelligent Bass Extension algorithm creates an extended depth that unlocks the full potential of the custom driver; giving you unparalleled precision and ultimate synchronicity between amplifier, driver and sealed cabinet. The DSP analyses your input signal and applies KEF's iBX, allowing the subwoofer to play louder and remain dynamic at any listening level. 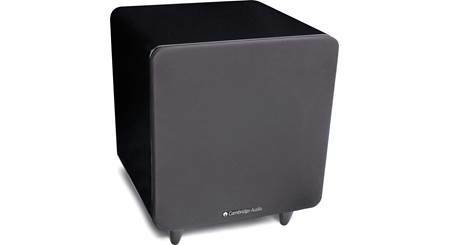 Sealed Cabinet: The Kube series powered subwoofer utilizes a sealed (acoustic suspension) cabinet for greater accuracy and delicate musical detail, while allowing the Kube subwoofers to be installed almost anywhere; even inside a cabinet. Rear-Panel Controls: Rear-panel controls (consisting of Volume Level, Crossover Frequency, Phase and EQ Presets) help match the powered sub to your speaker system and room placement. Volume Level: The volume control adjusts the output level of the subwoofer in relation to the main loudspeakers. Crossover Frequency: The crossover frequency control changes the upper cut-off frequency of the subwoofer. Its effective range is from 40Hz to 140Hz at a rate of 24dB per octave. The frequency control should be adjusted to achieve the smoothest integration and transition between the main loudspeakers and the subwoofer. Phase Control: The phase control will normally be set at 0°, but more output level can sometimes be achieve in the 180° position; in particularly when the subwoofer is far away from your main loudspeakers. Placement Tuning Presets: There are placement tuning presets for free standing (in-room), wall/cabinet (in-wall), and corner installations, so the powered subwoofer sounds great no matter where you position it. LFE/RCA & Speaker-Level Inputs: The Kube series powered sub provides LFE, line-level, and speaker-level inputs to connect to a variety of AV receivers and integrated amplifier. KEF's smartConnect intelligent LFE and line-level inputs automatically detect a mono or stereo signal and adjusts the subwoofer volume level accordingly. 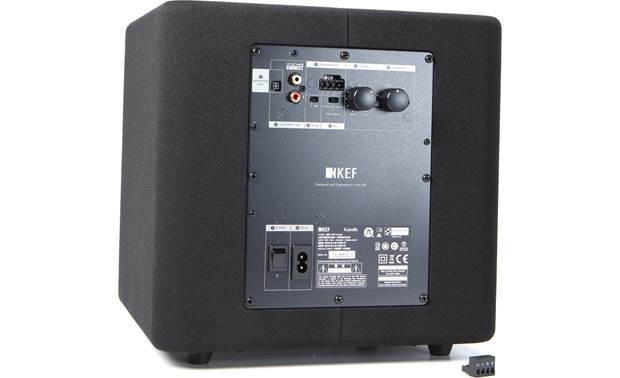 LFE (Low Frequency Effect): Thanks to KEF's smartConnect technology, either the Left or Right line-level input can be used as a LFE input and connected to your AV receiver's LFE output. In this setup, your receiver's built-in crossover settings will be utilized instead of the the powered sub's. Make sure the sub's crossover is set to "LFE". Line-Level: If your receiver or integrated amplifier is not equipped with a LFE output but does have line-level outputs, you can use the powered sub's stereo line-level inputs to connect the subwoofer to your receiver or integrated amp. Speaker-Level: The speaker-level input consists of a detachable phoenix-block connector. These speaker-level inputs connect to the main speaker-level outputs of your receiver or integrated amplifier which is not equipped with an LFE out or line-level outputs. Placement Options: As the bass (low-frequency) sound produced by the subwoofer is non-directional it can be positioned anywhere in the room, although it should not be placed too close to the listener. 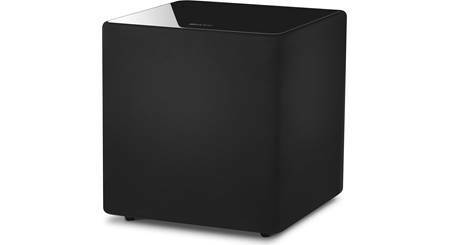 The Kube subwoofer is a front-firing configuration, therefore you may place the unit close to wall or structures on the right and left sides. 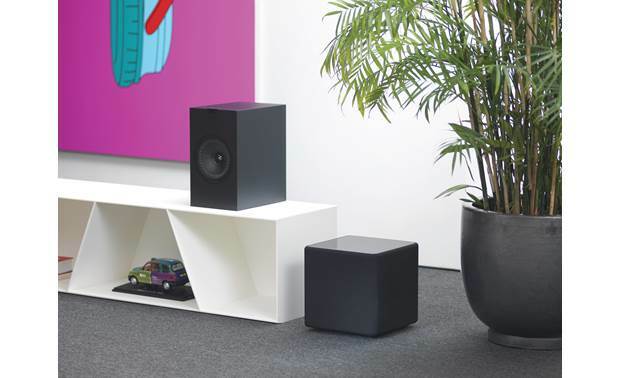 For optimum performance, try the subwoofer in different positions to find the best place for a "boom-free" sound. 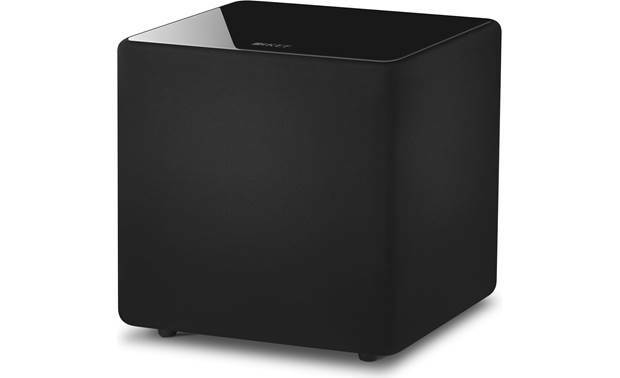 Searches related to the KEF KUBE 8b Powered subwoofer.